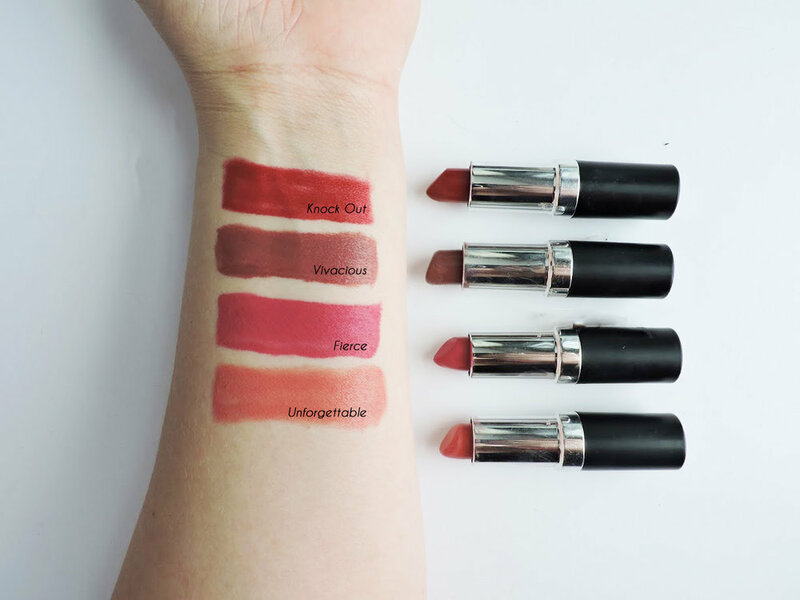 You may have noticed we only have 4 lipsticks. Yep, we meant to do that! We don't know about you, but our idea of a good time is not standing in the store looking at 101 different shades that we are suppose to pick from. When selecting the colors of the line we knew we wanted to cover the basics. But something we pride ourselves on is the way you can use one product in multiple ways. So don't think you have to wear that one tube just one way! 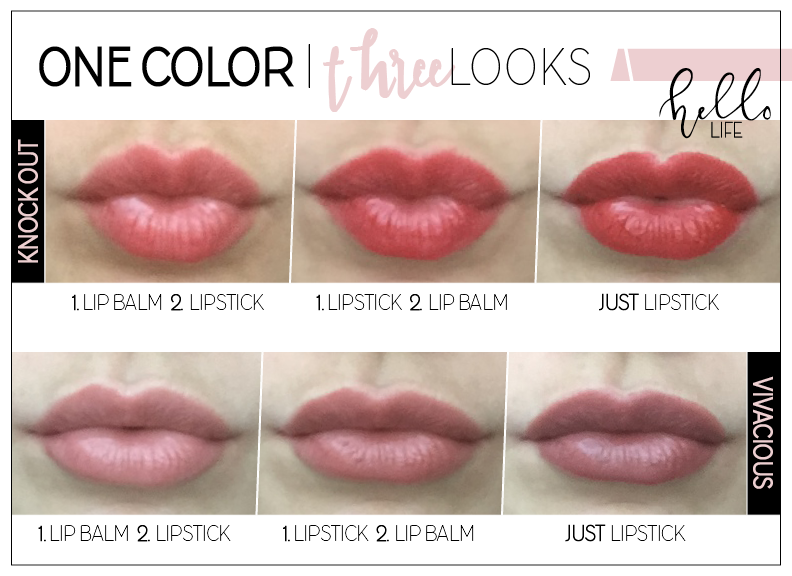 Check out how you can add just a little lip balm to change the colors. Don't be afraid to try this with our other two shades! We know looking at some of the colors, they can seem pretty bold, but if you are looking for a more subtle look, dap a few dots on your lips, rub them together & reapply if desired. If you do want to make that POP of color with our Knock Out or Fierce, apply a full layer on to your lips. Psst.. both are a matte lipstick and long lasting! But you don't have to stop at just adding some lip balm or gloss to your color. Try mixing a few of the color together and create something totally new! Go have fun with it, girl. Then, share your favorite combo with us.